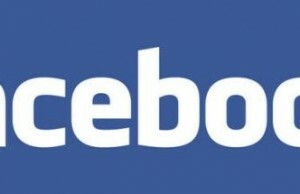 Do you ever wished to connect with your friends on Facebook in your own language that is other than English? Or do you sometimes messed up with Facebook settings or deactivated and reactivated the account and now you see some strange language appearing there all your Facebook page, your own Facebook page, huh? Yeah, it may happen with any one of us. So, you might be thinking how to change the language, either to your own mother-tongue or favorite language or just get back from an alien language turned on by mistake to your real world language. 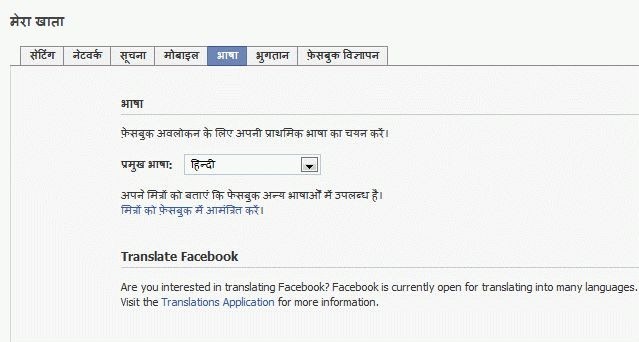 There is definitely an option to change the language in Facebook and you can find it by logging in to your account and going to http://www.facebook.com/editaccount.php?language page. 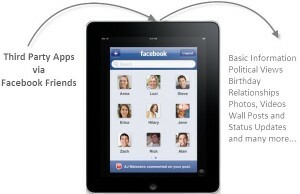 You can also find it out thru Facebook –> Account Settings –> Language –> Primary Language. I just tried changing it to “Hindi”, it was looking cool :). There are more than 50 language options available. 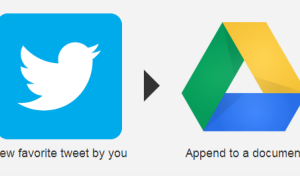 You can choose yours, just remember do not click after selecting the option, otherwise the page would be instantly translated to that language, your profile would get updated with this status message, may be you don’t want to do that. So, do it carefully, otherwise your friends may feel crazy about the way you are doing.